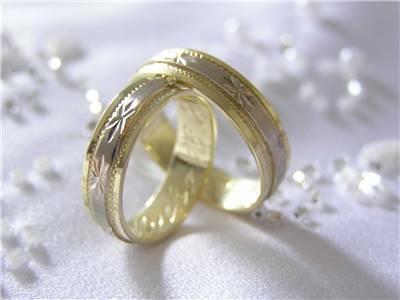 Rings have been symbolized marriage and betrothal ceremonies for centuries. 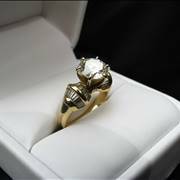 The ring is said to represent a symbol of the connection between a woman and the man who would become her husband and a symbol of everlasting love. 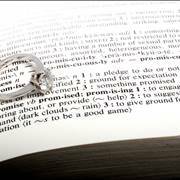 The origin of the engagement and wedding ring is rife with superstitious and mythology. Papyruses dating back to the ancient Egyptian civilization depict wedding rings made of twisting pieces of plants, and historians credit the land of the Pharaons with starting the tradition of wearing wedding rings. Metal rings replaced the earlier hemp and reed wedding rings. The early Romans used lead rings, while other civilization used brass and copper rings. Eventually, gold became a metal of choice. 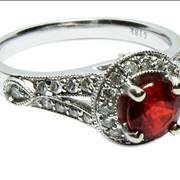 Over the years, engagement rings were fashioned from rubies, diamonds and other gemstones. Gemstones like ruby, emerald, and sapphire can be found in a variety of shades of their distinct colors. 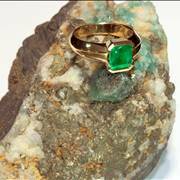 The color of the gemstones also held significance. 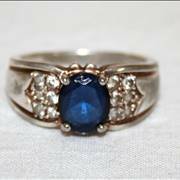 The red ruby symbolized the heart, love, devotion, and passion; the blue sapphire signified trust, majesty, wisdom, romantic love, truth and commitment; the green emerald signified spring, renewal, hope, and luck; and the rare diamond's indestructible nature symbolized strong and enduring bond of marriage. A ring as a symbol of a union between a man and a woman was said to be used for the first time by the Egyptians. 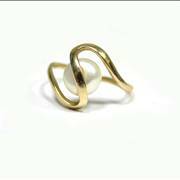 The ancient Egyptians believed that the circle of a ring represented an eternal and closed bond between a man and woman, and so began the tradition of a ring giving as a symbol of love. The Egyptians were also the first to wear rings on the third finger of the left hand. 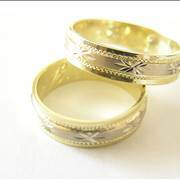 It is believed that the wedding tradition was first introduced by the Egyptians who some 4800 years ago twisted plant material (such as hemp) into rings and put them on the finger of their wives. They considered the round symbolism of wedding rings to be linked to an eternal love. Ancient Egyptians chose the third finger of the left hand to put ring because of their belief that this finger has the ''vena amoris'' or vein of love, which is directly connected to the heart. Fit played an equally important role in the ancient time. 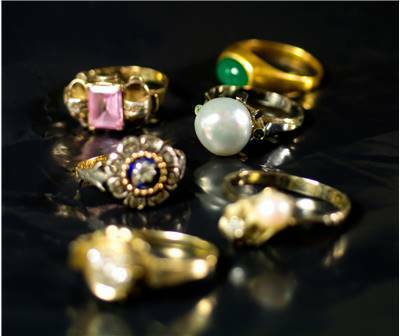 It was believed that the wedding ring fit had to be perfect for the finger for which the ring had been produced. Too loose a fit would cause to a sloppy marriage, carelessness. Too tight a fit would cause a suffocating, painful marriage to a couple. 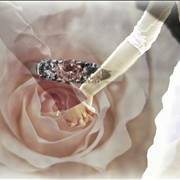 In ancient times, wedding band was placed on the third finger of the female's left hand just as they do today. The significance of the third finger was the belief that there was a vein, the ''vena amoris'', in that finger that is directly connected to the heart. The Egyptians propagated this thought and the ancient Greeks and Romans adopted it as truth. Even if we exclude this traditional belief of vena amoris, the custom of wearing the wedding ring on the third finger survived. During the time when Christianity was dominant in Europe, early Christian marriages included a ritual that landed the wedding band on the third finger and vena amoris was replaced with a holy seal. As the priest recited, ''In the name of the Father, the Son, and the holy Ghost '', he took the wedding ring and touched the first three fingers of the left hand (thumb, index and middle). Upon reaching the third finger, he said ''Amen'' and placed the ring on it to seal the marriage. In 860, Pope Nicholas I actually formalized the use of engagement and made the engagement ring as official part of the betrothal ceremony. Double-ring ceremonies became tradition since World War II as young soldiers shipped off to war. The wedding or engagement ring took on new sentimentality during those troubling times, and that custom remains the same till today.